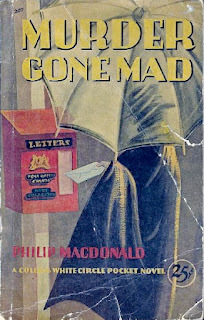 Philip MacDonald’s 1931 crime novel Murder Gone Mad is an interesting early example of a sub-genre that would eventually come to dominate the entire crime genre - the serial killer novel. Nothing exciting has ever happened in Holmdale Garden City in England until one day the residents discover to their horror that there is a maniac loose among them, a maniac who kills apparently without reason. That is of course the fatal weakness of the serial killer sub-genre - serial killers choose their victims randomly so the sorts of clues that usually lead fictional detectives to their quarry can no longer be depended upon. This leads to uninteresting plots that then need to be spiced up by lots of gory detail. Philip MacDonald however does something different. He sets up his plot rather cleverly so that the murderer can only be one of a small group of people, and all these people are known to the detective. As a result he is able to structure his book according to the well-established rules of golden age detective stories. Detective-Superintendent Arnold Pike is up against more than the usual challenges in solving this case, and he makes use of modern technology to hunt the killer. In 1931 moving pictures were still fairly high-tech and Pike uses movie cameras in order to narrow down the field of possible suspects. Golden age detectives are more often than not rather hostile to the use of technology in criminal investigation so this is another factor making this an unusual crime novel for its era. While gore is an inseparable part of the modern serial killer novel you won’t find any of that in this book. 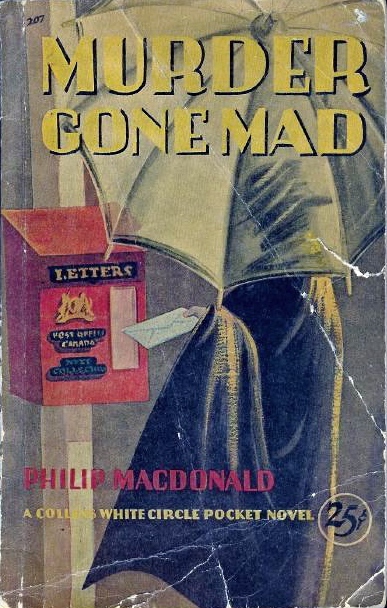 Serial killer novels also tend to be somewhat obsessive about psychology but Murder Gone Mad is still very much a golden age tale with psychology taking a back seat to good detective work. An odd but entertaining example of 1930s crime fiction. Worth a look. 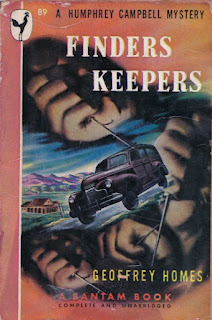 Finders Keepers, published in 1940, was one of Geoffrey Homes’ mystery novels featuring private detective Humphrey Campbell. Daniel Mainwaring wrote a number of successful mysteries under the pseudonym Geoffrey Homes. His last and most famous novel, Build My Gallows High, represented a change in direction. It was the source for one of the greatest of all examples of film noir, Out of the Past (for which he also wrote the screenplay). Mainwaring eventually abandoned the writing of novels to concentrate on screenplays. Humphrey Campbell is not your standard hardboiled private eye. He is fairly hardboiled but he drinks nothing stronger but milk, he plays the accordion and is passionate about accordion music, and he’s fat. Although he insists it’s muscle, not fat. He works for a guy named Oscar Morgan and while their business is legal it’s not exactly respectable. A guy named Burke turns up at the office claiming to be a member of the Dunecht family. The Dunecht family fortune was made in the late 19th century by old Senator Dunecht, a man of great ability and very flexible ethics. Now the head of the family is the senator’s son Stephen. Stephen is by now quite an old man. He is on the point of changing his will, a change that will considerably affect the futures of the various members of his family. The old senator’s wife had run off with a foreman in 1893. Not too long afterwards she gave birth to a son. Was the boy the son of the senator? In which case Burke is the senator’s grandson and is entitled to half the Dunecht fortune. Or the boy the son of the foreman? In which case Burke is the foreman’s grandson and is entitled to nothing. The evidence is inconclusive but it sounds like Burke might have a case. He has enough evidence on his side to persuade Oscar to take the case and Humphrey (who does the actual investigating while Oscar handles the business side of things) sets off for the Dunecht mansion. Humphrey very quickly discovers a murder. A very very old murder. A murder that appears to have taken place in 1894. But that will not be the last murder with which the Dunecht family is involved. Stephen has a son and a daughter (who seem to have inherited the senator’s unscrupulousness), plus a stepson. There’s also a young woman who appears to have attracted the interest of more than one of the male members of the Dunecht clan. Structurally this is very much a golden age detective story. The emphasis is on the plot and the emphasis of the plot is on the solving of a puzzle, or in this case several related puzzles. It’s a complicated but nicely constructed plot and it’s easy to believe that just about everybody involved is capable of murder. Characterisation is sketchy but vivid, which is what you want in a golden age detective story. Humphrey Campbell himself is a fine hero. His bulk tends to lead people to the conclusion that he’s no tough guy. That’s a mistake that such people often come to regret. His passion for milk and accordion music and his genial if somewhat unassuming personality can also lead people to suspect that he’s not exactly a sharp-witted detective. That’s another mistake that people often come to regret. Humphrey is a likeable sort of hero, perhaps just a bit of a rogue but one who is careful to stay on the right side of the law. Finders Keepers is thoroughly entertaining and is highly recommended. Max Rittenberg’s The Mind-Reader is yet another entry in the psychic detective sub-genre, and it emphasises once again just how surprisingly varied this rather small sub-genre is. This 1913 short story collection recounts some of the cases of Dr Xavier Wycherley. Dr Wycherley is a mind doctor. He does not consider himself to be a detective and in fact he dislikes having on occasion to act as one. Nonetheless many of his cases do involve crime and there are times when, for the sake of a patient, Dr Wycherley has to act in that capacity. Dr Wycherley’s methods involve both hypnosis and psycho-analysis, two subjects that the late Victorians and the Edwardians found both deeply fascinating and somewhat horrifying. Dr Wycherley also takes advantage of certain gifts that would today be considered to be within the realm of the paranormal. At that time we must remember that science had not yet drawn a firm line between strange phenomena that were real and strange phenomena that turned out to have no scientific basis whatsoever (such as psycho-analysis). Dr Wycherley considers himself to be a man of science. This little book appears to be a collection of many very short stories but in fact many of the stories are linked, so in reality it’s a collection of a small number of relatively long short stories. Dr Wycherley’s cases take him into various worlds - the world of high politics, the world of espionage, and even the world of faith healing. His patients may be peasants or princes. Wycherley is a kindly man who is fortunate to be sufficiently wealthy (he lives on a private island in a lake) that he does not have to concern himself with the sordid matter of fees. Wycherley’s main objective is always to heal the minds of his patients. The solving of a crime may be a necessary pre-condition for such a cure but it is not a strong motivating factor for the doctor. Nevertheless he does like to see justice and good prevail. One case, set in the glamorous environs of Monte Carlo, involves the selling of French naval secrets. Another case confronts him with a crown prince haunted by a tragic secret, another involves the private affairs of a British Cabinet Minister while yet another of these tales concerns the murder of a zoologist whose particular interest is sloths. Who knew that sloths could be so deadly? As is so often the case with Victorian and Edwardian fiction it is essential to bear in mind that they are set in a very different world, a world in which concepts like duty still had enormous resonance. The plots simply don’t work unless you take this into account. That could be seen as a weakness in that some modern readers will find this very alienating, but to me it’s one of the great attractions of late 19th and early 20th century fiction - I like my reading to allow me to escape into a completely different world. Coachwhip Press has released this book as part of their 2 Detectives series, paired with another collection of psychic detective stories, Gelett Burgess’s Astro, the Master of Mysteries. 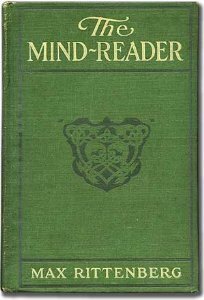 Anyone who has a taste for the occult or psychic detective sub-genre, and anyone who enjoys crime fiction that is focused on psychology, should certainly consider checking out The Mind-Reader. Highly recommended. B. Fletcher Robinson’s The Chronicles of Addington Peace is a fairly obscure but quite entertaining 1905 collection of detective stories. Mr Phillips is an artist. To be more accurate, he is a wealthy young man who fancies himself an artist. His path crosses that of Inspector Addington Peace of Scotland Yard. Mr Phillips finds himself thrust into the role of detective, not altogether reluctantly. He finds that aiding his friend Inspector Peace in his investigations is a good deal more fun than playing at being an artist. Inspector Peace is a shrewd little man who enjoys baffling people with his crime-solving skills. He’s the sort of detective who likes to have an audience so it makes perfect sense that he’d be happy to have a sidekick to admire his brilliance. Not that Addington Peace is an egotist on the Sherlock Holmes scale. He’s a rather quiet and likeable fellow in general. This collection is very much in the Sherlock Holmes mould, with ingenious and very complicated crimes, the sorts of crimes that require imagination as well as thoroughness in a detective. As was usual in Edwardian detective fiction the eight cases collected here are not all murders. There is the obligatory jewel theft, and even where sudden death is involved we should not always jump to the conclusion that it is murder. 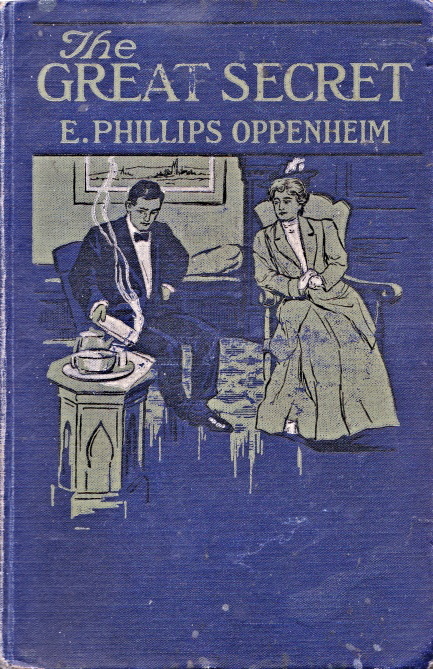 In 1905 the detective story had not yet evolved into the familiar pattern of the so-called golden age in which the author is expected to provide sufficient clues to allow the reader (in theory at any rate) to have a chance of solving the crime before the detective’s revelation at the end. In some of these stories that is the case, but in others the objective is to display the detective’s extraordinary skills rather than to allow the reader to do the same. Mr Phillips is a classic detective story sidekick. He’s an intelligent and perceptive man but we know there’s no chance he’ll find the solution to a crime before Inspector Peace does. Fans of vintage crime fiction love bizarre methods of murder. In these cases there are enough murders by means of ceremonial jade spears and disappearances involving secret passageways to keep such fans happy. It is unlikely that any real-life policeman would ever encounter such unlikely cases as these but that’s all part of the fun. If you want realism in your crime fiction that’s fine but readers in Victorian and Edwardian times wanted a touch of the fantastic and that’s what Robinson gives them. 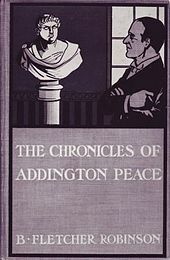 The Chronicles of Addington Peace is a thoroughly enjoyable collection. Readers who can’t get enough of the crime fiction of this era will be delighted that Coachwhip Press have made this collection available as part of their 2 Detectives series (each volume containing two crime short story collections by two different authors of the Victorian and Edwardian eras). Warmly recommended. Joseph E. Badger Jr’s The Lost City (or The Lost City of the Aztecs as the title appears in some editions) is an 1898 lost world tale. Lost world stories were immensely popular in the late 19th and early 20th centuries and this is an entertaining if very pulpy example of the breed. Joseph E. Badger Jr (1842-1909) was a fairly popular American author of dime novels. Professor Phaeton Featherwit is a keen aeronaut. In an airship of his design he and his two nephews, Bruno and Waldo Gillespie, find themselves caught in a tornado. Literally in the tornado - their craft is swept into the very vortex of the storm. Against the odds they survive and are finally are able to bring their flying machine safely to the ground. But where are they? They are certainly a long way from their starting point. Professor Featherwit believes they have been carried into the unexplored regions of the Olympic Mountains in Washington State. They are in a remote valley entirely cut off from the outside world by impassable mountains. Surprisingly enough they come across a human being whom they rescue from a whirlpool. The surprise is that the man is a white man. He is in fact another aeronaut, Professor Cooper Edgecombe. He has been marooned in this valley since his balloon crashed there ten years earlier. He had been trying to locate his missing wife and daughter who had been carried away by a balloon, thanks to the machinations of an enemy of Professor Edgecombe’s. When Edgecombe takes them to the cave that has been his home for the past decade they make another extraordinary discovery - Aztec weapons and clothing. Even more amazingly, these weapons and clothing appear to be new although they are indubitably authentic. Can it be that a lost tribe of Aztecs has survived in this remote valley for so many centuries? It is soon evident that that is indeed the case. There is not only a lost tribe of Aztecs, but an entire Aztec city. A city populated by large numbers of living breathing Aztecs. All this is strange enough but the adventures of Professor Featherwit and his nephews have just begun. They will encounter the Aztecs at much closer quarters and will be called upon to carry out a particularly daring and dangerous rescue, a rescue of two people whose existence in the Aztec city is perhaps the biggest surprise of them all. 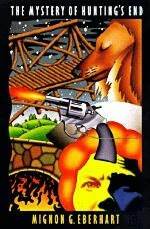 Badger’s style is pulpy in the extreme, betraying his lengthy career as a writer of dime novels. Pulpy it may be but it’s undeniably vigorous and enthusiastic. Badger wastes little effort on characterisation. His characters are mere sketches although Professor Featherwit is a colourful enough personality. Bruno and Waldo are brave but impetuous, and their stout hearts will prove very useful. Badger’s depiction of this lost Aztec society is quite even-handed. There are elements within the city who can fairly be described as blood-thirsty heathens and they certainly do practise human sacrifice, but our intrepid aeronautical adventurers will also come into contact with some very courageous and noble Aztecs as well. The Aztecs are divided into two warring camps, the issue at stake between them being the origins (and the ultimate fates) of the two Children of the Sun who have been living in the Aztec temple or some years. There’s plenty of action and this rather short novel is strong on excitement. Bold deeds are performed, there are narrow escapes from disaster and there are both tragedies and triumphs. The good news is that the book is readily available from various print-on-demand publishers and it’s quite inexpensive as well. Mignon Eberhart (1899-1996) had an extraordinarily long career as a crime writer. Her first mystery was published in 1929; she wrote her 59th and last novel in 1988 at the age of eighty-eight. She was at one time apparently regarded as America’s answer to Agatha Christie. The Mystery of Hunting’s End is one of her early books, dating to 1930. Unfortunately, it’s not very good. The plot is your standard “let’s take a group of somewhere between half-a-dozen and a dozen people and strand them somewhere and then have a murder occur” story. This is a very easy and convenient way to limit the number of suspects. If all the suspects are stranded somewhere then the guilty part must be one of their number, and the murderer cannot escape. In the hands of even a moderately skillful writer this device also helps to build tension. In this case the site chosen is a hunting lodge. Sure enough, as soon as the prospective suspects are assembled the snow sets in, effectively cutting them off entirely from the outside world. Of course the author has to make sure that her detective manages to be included in the group. Eberhart does this by having the owner of the lodge (known as Hunting’s End) invite a detective along to try to solve a five-year-old murder. Matil Kingery’s father was shot to death at Hunting’s End five years earlier. The house has been shut up ever since. Matil has now invited everyone who was present at the time to join her at the lodge and she also invites private detective Lance O’Leary. O’Leary brings along his friend Sarah Keate. She is a nurse and is ostensibly employed to care for Matil’s elderly and querulous Aunt Lucy, but in fact Miss Keate is something of an amateur detective as well. Within a few hours of the arrival of the various members of the party another murder occurs. Being isolated in a house with a murderer is bad enough but for these unfortunates the situation is even grimmer - they have to share the house with the corpse as well, until the snow stops. As the days tick by tempers start to fray, and to cap things off food starts to run short. There’s nothing especially wrong with the basic plot. The problem is with the execution. As a writer Eberhart has a number of very irritating habits. The worst of these is foreshadowing. This is a device that I don’t particularly like at the best of times. To me it seems like a cheap way of trying to heighten suspense. The problem here is that Eberhart is totally addicted to this device. Every few pages Sarah Keate (the narrator of the novel) is telling us once again that if only she’d known then what she knows now all this unpleasantness could have been avoided. Eberhart compounds the felony by other cheap tension-building tricks. She is not content to put her characters in a horrific and frightening situation. She has to tell us that their situation is horrific and frightening. She has to tell us this over and over again. To be honest it wasn’t necessary to tell us even once since the horrific and terrifying predicament of these characters is blindingly obvious. The writing is also rather long-winded and repetitive. The plot advances at a glacial pace. Too many conversations that don’t advance the plot are recounted in too much detail. The narrator spends too much time telling us how she feels. By the time the plot was finally resolved I found that I had to a large extent lost interest. I had spent too long with too many uninteresting characters. Even the characters who might conceivably have been colourful (the party includes both a baroness and an opera singer) come across as being rather dreary and petty. We don’t know enough about them to take much interest in them and this being a detective story we don’t really need to know them very well. What we need is for the author to get on with the plot. Reading a book such as this makes one appreciate the virtues of writers like Christie. Agatha Christie’s writing style isn’t going to dazzle anybody but she gets on with the job and doesn’t bore us. I’m afraid that Eberhart did bore me. I cannot in all conscience recommend The Mystery of Hunting’s End. E. Phillips Oppenheim (1866-1946) was in his time one of the most successful thriller writers in Britain. He wrote around 150 novels, including a considerable number of spy novels. He is in fact regarded by some as the father of modern spy fiction. The Great Secret, published in 1906, is typical of his work. Mr Hardross Courage is a wealthy young Englishman whose life has been carefree and uneventful. He plays cricket for his county, he attends to the management of his estates, he serves as a local magistrate. His cousin is a rising politician but Hardross Courage has never taken any interest in politics. He has never taken any interest in a career of any sort. His wealth and social position render it unnecessary and he is by nature somewhat indolent. Everything is about to change for Mr Hardross Courage, as a result of a chance encounter in an hotel. A desperate man, a man utterly unknown to him, hammers on his door. He tells a story that he is being pursued by men who mean to kill him. It seems unlikely, but his disheveled and rather frightened appearance lend some veracity to his story. Courage shelters the stranger in his room. Sure enough two men then break down the door. A scuffle follows, the lights are extinguished, and the mysterious stranger disappears. He will meet this stranger again. The man goes by the name of Leslie Guest and he is a diplomat whose career was ruined by a scandal. He has dedicated the past fifteen years to wiping out the stain on his reputation, and he has now stumbled onto a very great secret indeed. It is a secret with the potential to change the course of European, and world, history. Leslie Guest is in fact a spy and the secret he has uncovered could save England. This secret could also be his death warrant. Fearing that death is imminent he passes on the secret to Hardross Courage. Now Courage finds himself propelled into a world of conspiracies and espionage, of treason and murder. If he fails Europe will be plunged into war. There is a further complication, caused by another chance encounter. Courage meets a young American woman and falls instantly in love with her. The young woman is also a spy, but whose side is she on? Oppenheim’s novels established an important precedent for spy fiction. The world of espionage depicted in his books is a world of wealth and glamour. Espionage is a game played by handsome brave men and beautiful dangerous women set against a backdrop of luxury and refinement. Spies dress for dinner, they wear elegant clothes, they dine at the best restaurants, they are connoisseurs of the finest wines. There is less action than modern readers would expect but there is a constant atmosphere of danger. A spy may find death awaiting at any moment. The plotting is extravagant but reasonably plausible. International tensions had been running high for twenty years before the outbreak of the First World War. The conspiracy that Oppenheim spins is no more ludicrous than the Fashoda crisis that in reality had almost led to war between Britain and France in 1898. The characters do not have a great deal of depth but this is after all a thriller and it does not require much in the way of complex characterisation. Modern readers unfamiliar with the period may be tempted to judge Courage as a very conventional English patriot but it must be remembered that in 1906 patriotism was not greeted by the sneers that it elicits today. What matters is that Oppenheim manages to draw us into a rather fantastic story. The Great Secret is an entertaining tale of adventure. If you have a fondness for early 20th century spy fiction you should find this to be an entertaining read. Recommended. 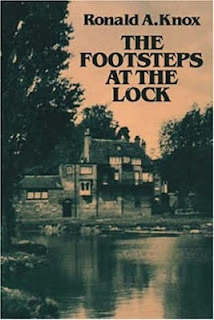 The Footsteps at the Lock, published in 1928, was the second of Ronald A. Knox’s Miles Bredon mystery novels. Monsignor Ronald Arbuthnott Knox (1888-1957) was a Catholic priest who wrote detective stories. He is perhaps best-known to fans of golden age detective fiction as the man who in 1929 codified the Ten Commandments of Detective Fiction. He was a founding member of the Detection Club. The Footsteps at the Lock is a classic golden age mystery with a delightfully convoluted plot. Derek and Nigel Nigel Burtell are cousins and they dislike each other intensely. On his twenty-fifth birthday Derek stands to inherit a considerable fortune. If he dies before the age of twenty-five the fortune will instead pass to Nigel. The problem is that Derek’s chances of reaching that age are rather poor, due to his drinking and drug-taking habits. Derek is deeply in debt and his creditors, realising that they will get nothing if he dies before turning twenty-five, have insisted he insure his life. The only insurance company that will take the risk is the Indescribable Insurance Company. We will discover later that there is another potential inheritance that may have a bearing on the case. The two cousins set off on a canoeing trip on the Thames. After passing through the Shipcote Lock Nigel leaves the river to travel to Oxford for his finals. He was supposed to rejoin Derek at the Gudgeon Inn (located near the Eaton Bridge) a couple of miles downstream. Nigel arrives at the inn and waits. When Derek still has not appeared several hours after their proposed rendezvous Nigel raises the alarm. The Indescribable Insurance Company feels that the circumstances are suspicious enough to call in the services of Miles Bredon. Bredon is a private detective who works exclusively for the company. Miles quickly establishes that something suspicious has indeed happened, but as to what it is - that is not clear at all. Miles Bredon will spend much of the next few days in a canoe, testing out various theories in search of an answer to the puzzle. Miles is an engaging detective hero. He is a good detective but he dislikes work so the job with the Indescribable Insurance Company suits him. Most of the time he has virtually nothing to do. Miles is naturally indolent but once he’s on the scent he is remarkably tenacious. Miles has a very good relationship with Detective-Inspector Leyland, the Scotland Yard man called in by the county police to try to make sense of the mysterious events at Shipcote Lock. Miles is one of those private detectives who is happy to work with the police. He doesn’t mind who gets the credit for solving the case. All his employer needs to know is whether Derek Burtell is really dead or not. That is the end of their interest in the case, and it is the end of Miles’ interest. But of course, in order to establish Derek’s death (or continued life), Miles will have to solve the case anyway. Knox’s plotting is fiendish indeed. There are clues that lead backwards (literally), there are clues that make things clearer and there are clues that make things more obscure. Much hinges on the seaworthiness (or in this case riverworthiness) of canoes with and without holes in them and with or without bodies in them. Devotees of the golden age detective story should find themselves very satisfied by The Footsteps at the Lock. Recommended.